It’s not often that automotive nameplates reach middle age – the market is fickle, and the public’s attention span is short. 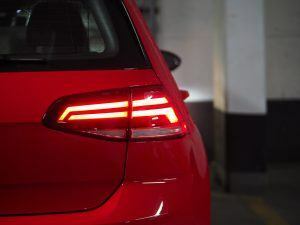 So Volkswagen Golf’s 45thbirthday, which it’s celebrating this year, is a bit of a milestone, a validation of a formula that’s evolved with the times, but also stayed constant over time. It’s a practical, roomy two-box shape; brick-through-a-window reliability; impressive efficiency; and even for those who would say they could care less about cars, an indelible fun factor that makes it entertaining to drive in every situation. For nearly as long as there’s been a Golf, there’s been a Golf GTI – a car which amplifies that fun factor and makes it the car’s dominant trait, without sacrificing any of the things that make the Golf so great. 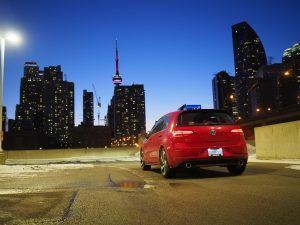 40 or so years on, a GTI is still a Golf with a bigger engine, bigger tires, more aggressive suspension, big-bolstered seats, and a tight, slick shifter; even the available tartan seat fabric and golf-ball gear knob are the same, if different. Like then, you still get a pretty set of alloy wheels, bigger brakes, and a smattering of red trim that subtly indicates this is a Golf for more serious drivers, without it shouting “I’m really sporty” to the world. In 2019, those upgrades, specifically, include the following. 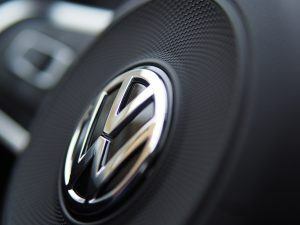 The engine is a 2.0-litre four-cylinder, turbocharged since the fifth generation of GTI, and here producing 228 horsepower. The suspension sits lower than a regular Golf; the brakes, with enlarged discs and red-accented calipers up front, and they sit behind 17-inch (on the standard GTI) or 18-inch (on Autobahn or special-edition Rabbit models) wheels. Up front, LEDs now accent the lights, which have little red strings through them, and a subtle set of bumper and side sill trim gives it a bit more attitude. Inside, you have your choice of black leather or the traditional tartan, and the front seats are just terrific, with big side bolsters but with enough give and support for long-haul drives as well. 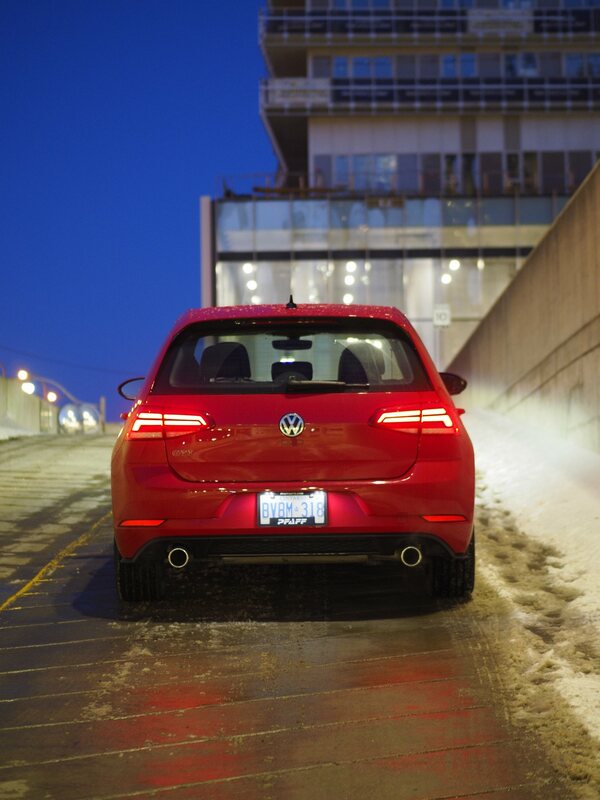 Outside of the seats, the interior is broadly similar to more pedestrian Golfs, which means it’s really solid, logically laid-out, and beautifully made from high-quality materials. 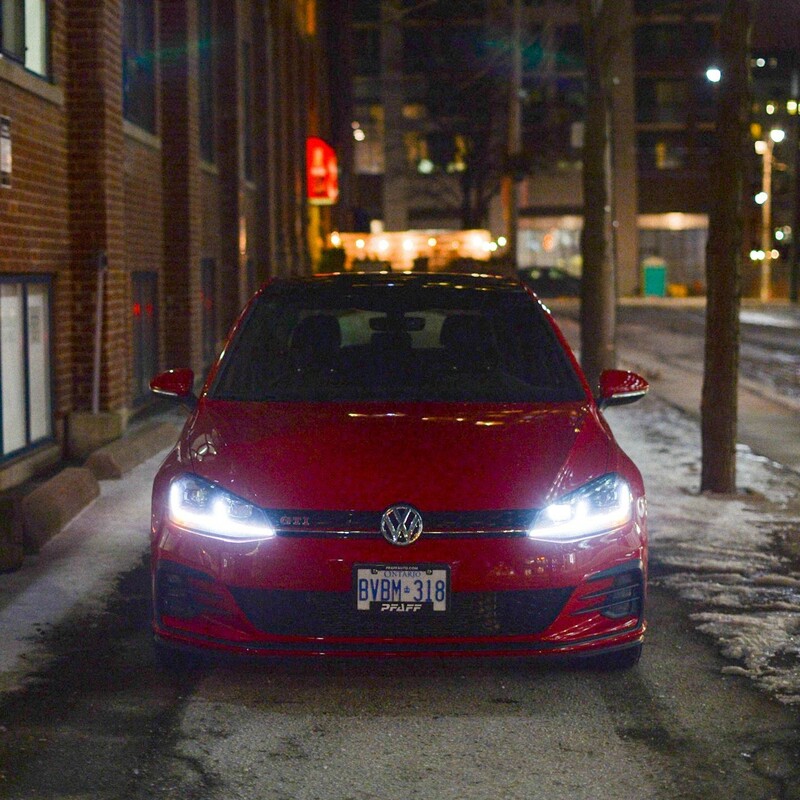 The red stitching on the seats, red accent lighting on the doors, and the special steering wheel and golf-ball shift knob on manual-transmission cars are really the only indication you’re in something a little more special. 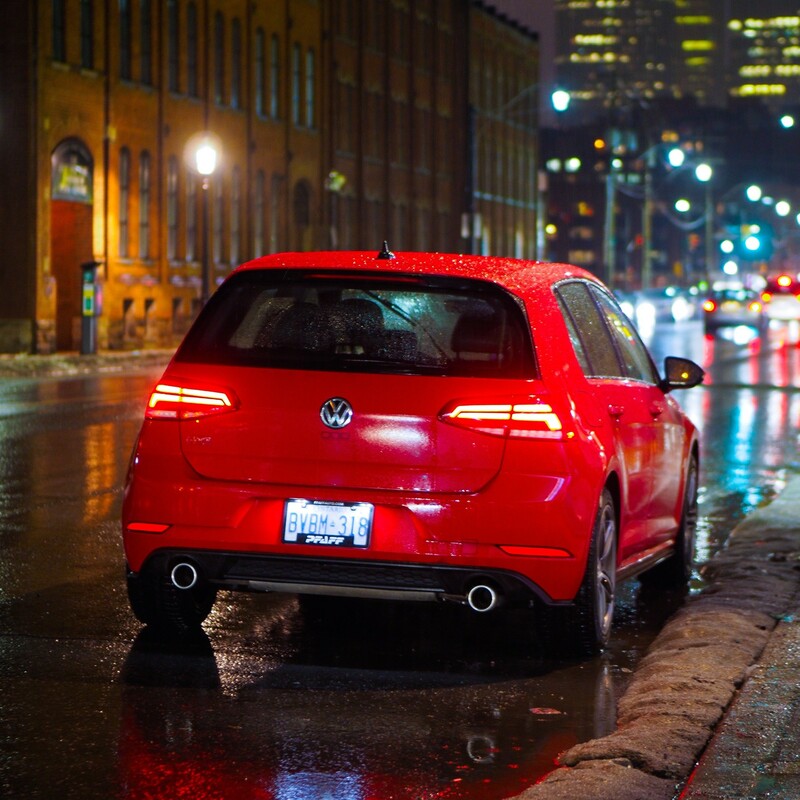 Drive the GTI in city traffic and it doesn’t feel much different from a regular Golf. The steering is fast and easy without sacrificing road feel; the suspension soaks up bumps and potholes without jarring you, and the overall level of refinement is impressive for such a small car. 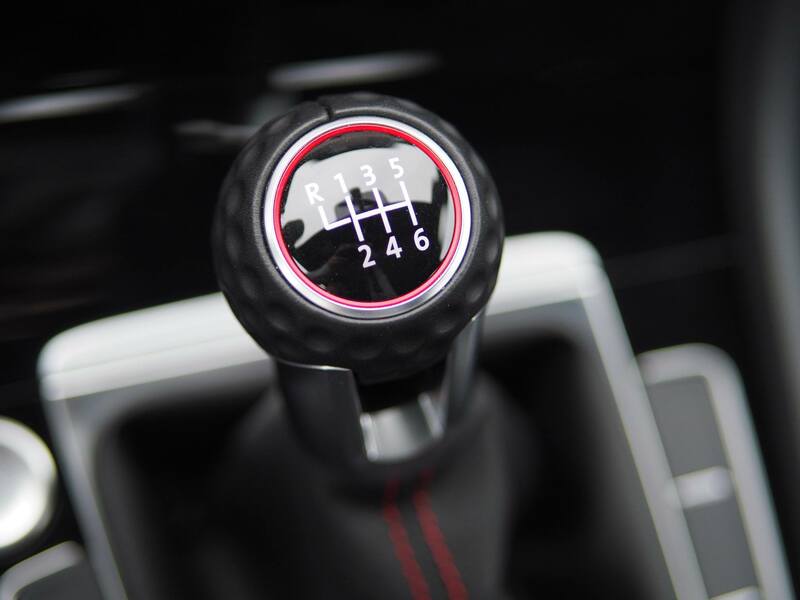 Well-matched weighting of steering, brakes, throttle, clutch, and shifter make driving it smoothly at any speed a cinch: everything can be operated with a light touch, and there’s a precision to all the controls that is really satisfying, even when you’re not going fast. 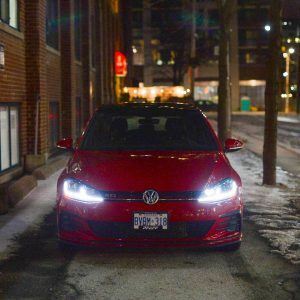 When you do find an open stretch of road and find the space to exploit the larger engine’s turbocharged torque and start to lean on the chassis, you discover that the GTI is a really credible performance car as well. Yes, it drives its front wheels instead of the rears, but the precision of the throttle response and the superb chassis means that you can still drive through a corner using the throttle to adjust your line as well as the steering, and it isn’t easily deflected off-line by bumps and pavement imperfections. It generates a lot of grip, and the upgraded brakes are superb, with great stopping power and feel. Perhaps what’s best about the GTI is that, while it feels like a real driver’s car, its limits aren’t astronomically high. There’s enough power to get into some trouble, but not so much that you have to be going too fast before you have fun; there’s lots of grip, but you can use all of it, and do little mini-slides if you want; and the body rolls a bit as the car takes a set into corners. 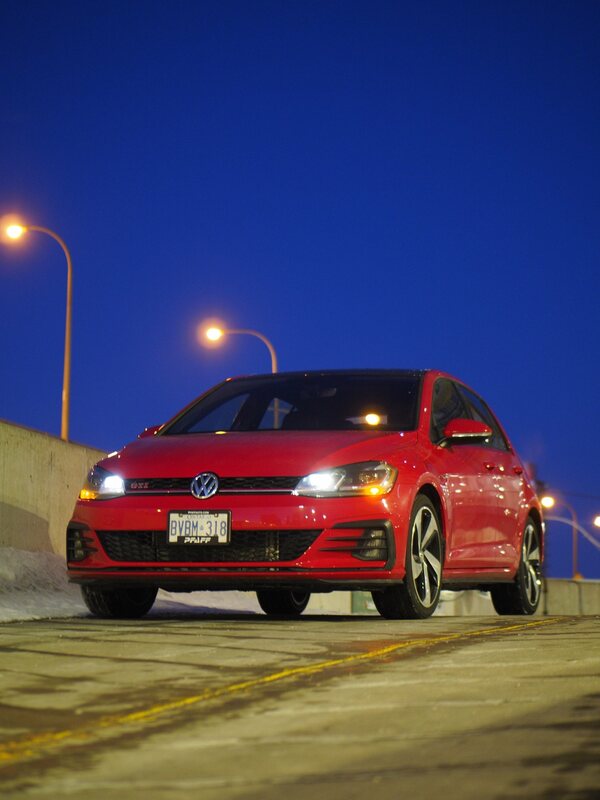 There’s enough of everything, but not too much of anything, so the GTI feels like a car you can use all of, all of the time – I came to it out of a BMW M2, which was a spectacular car but one that had so much capability that on the street it felt underutilized, over-powered, and over-tired. 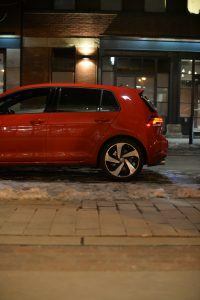 There’s a practical side to the GTI, too, which is key to its chameleon appeal. It’s fun enough to get up early for a Sunday drive, but in addition to being a great commuter car, it’s a fantastically useful hauler – there’s more space within its boxy hatchback body than you would ever expect, enough to swallow large pieces of artwork, a big-screen TV, or anything else you care to haul about, and the rear seats fold down with the pull of a simple lever. The infotainment system, so important to the way we interact with cars these days, is a cinch to use, and effortlessly mirrors your iPhone or Android device onto its big screen. And the fuel economy is spectacular – despite driving fairly aggressively, I regularly average less than 7.0 L/100 km, on regular gas. 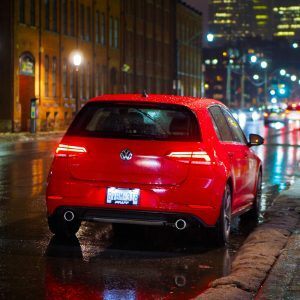 If there’s a criticism to be laid against the GTI, it’s that it can sometimes feel a little too balanced, a little to good at everything that it does. Even if you play with the drive mode controller and select the most aggressive throttle response (yes! ), the most lenient stability control (yes! ), the heaviest steering weight (no! ), and have it pipe fake burpy exhaust noise through the speakers (a million times no! ), it never gets as extroverted as some more dedicated performance cars, and as such the highs it delivers in those few moments when you have a perfect road on a perfect day won’t be quite as high as something more specialized. Conversely, when used every day, like most GTIs are, its balance of qualities makes every moment behind the wheel, in traffic on the way to work, on a winding country road or simply around an on- or off-ramp, that much better. In that context, the $31,000 or so you’ll spend – or closing in on $40,000 if you max out the options on an Autobahn with the superb DSG gearbox and driver assistance package – seems like good value despite the small package and the humble styling.